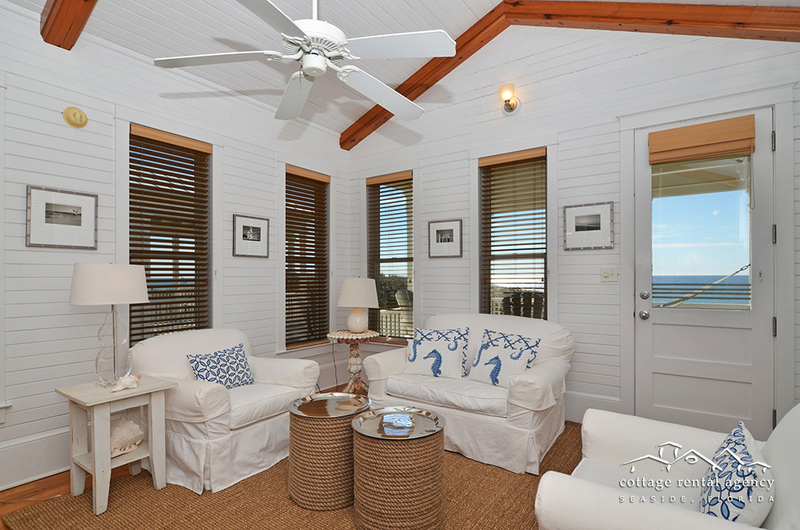 Sweetie Pie is definitely the perfect place to experience beachfront in Seaside, with its prime location with pristine views of the emerald-green waters and glorious sunrises and sunsets. 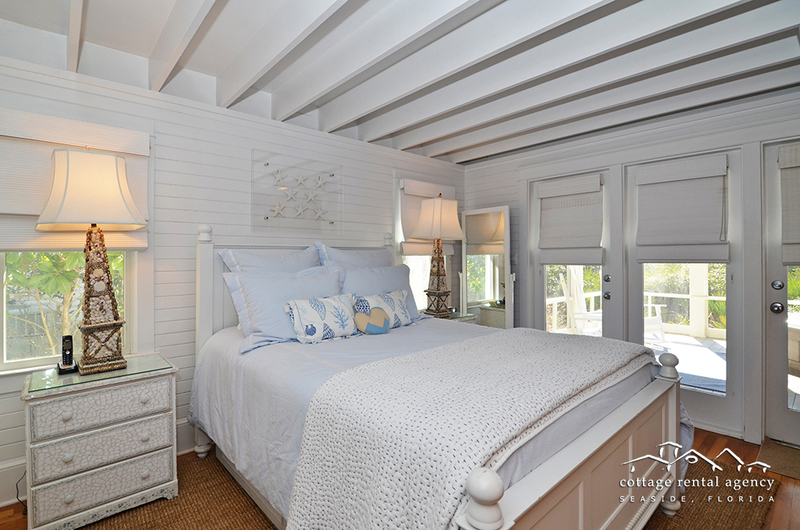 Decorated in a stylish neutral palette, you’ll be embraced by the tranquil atmosphere of this beautiful cottage. 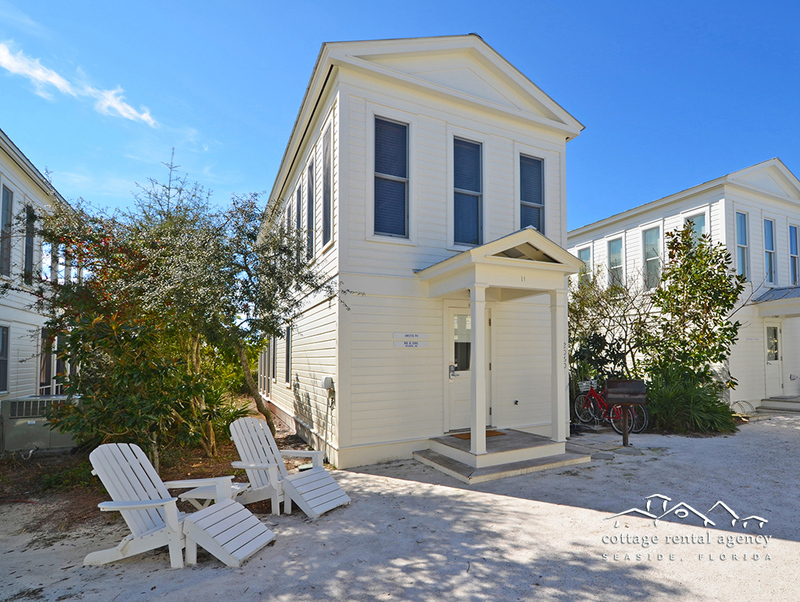 On the first floor, the newly furnished bedroom includes a king bed with a flat-screen TV and a private screened-in porch with a new Jacuzzi tub, as well as a private bath (shower only). 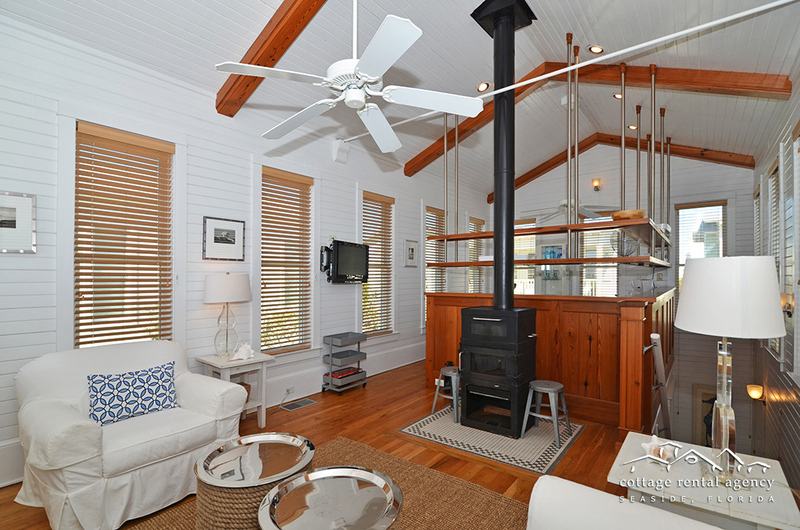 Upstairs, the second floor includes a fully-equipped kitchen, a Swedish wood-burning fireplace and a comfortable living room with a twin sleeper sofa, new flat-screen TV/DVD, complete with exposed beams and hard wood floors. 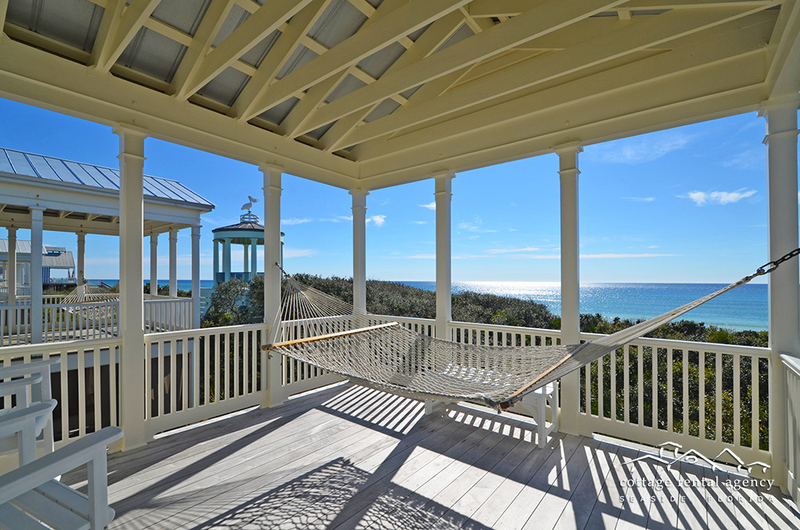 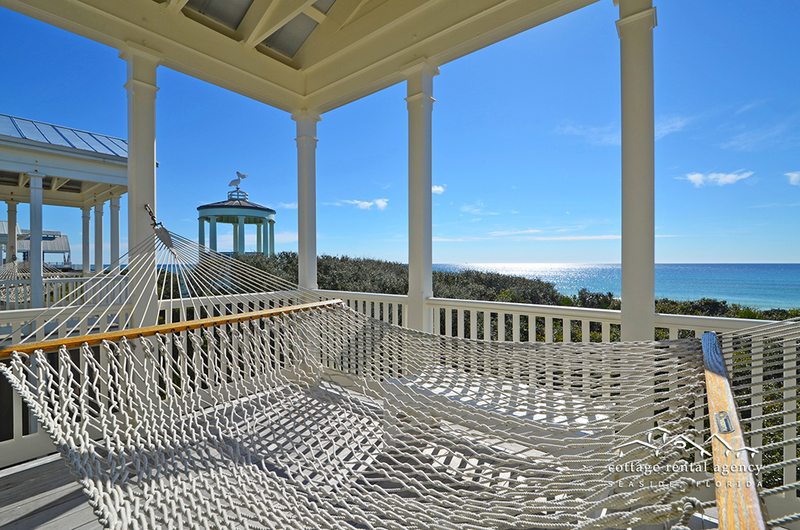 A nice covered porch with a hammock and rocking chairs overlooks beautiful panoramic views of the coast. 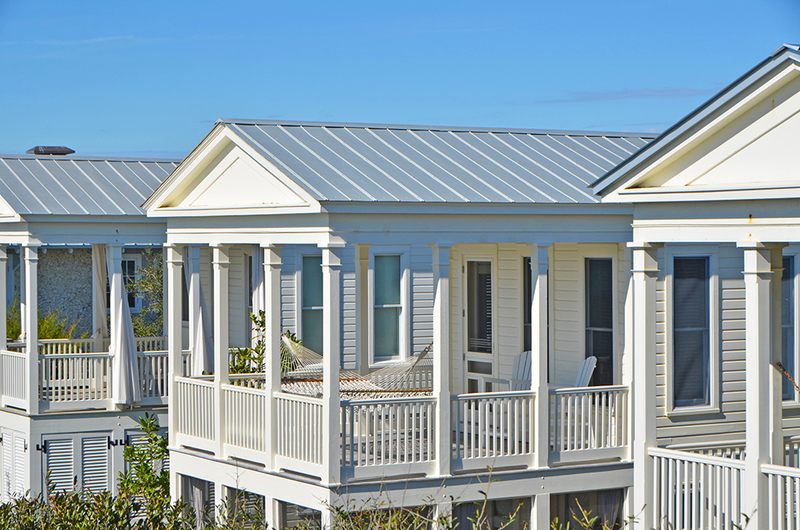 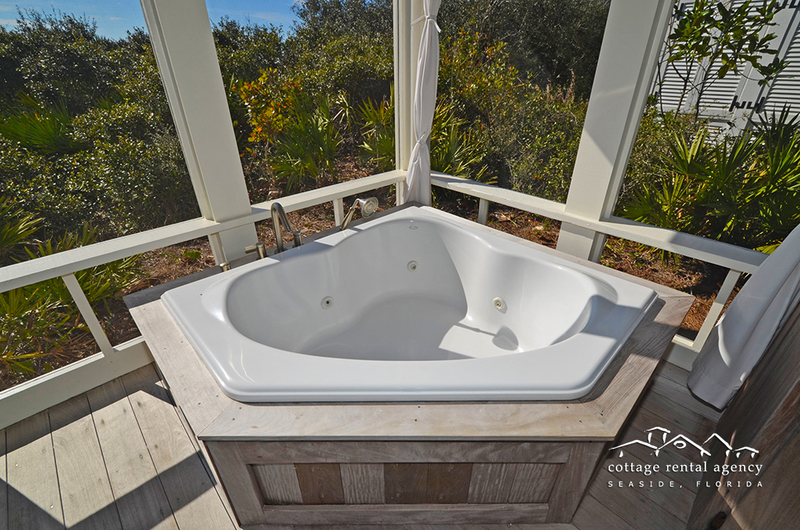 This Grand level cottage includes daily housekeeping services and a bottle of champagne.